Like extra virgin olive oil, coconut oil is a great oil to keep in your home. Not only is it a healthy oil to cook and bake with (perhaps even the healthiest), it is a worthwhile addition to a beauty regimen for men and women alike. Coconut oil is extracted from the kernel or the meat of the coconut, which is harvested from the coconut palm tree, Cocos nucifera. 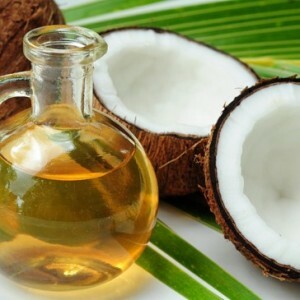 One way of extracting coconut oil for mass production is by pressing it out of copra, or dried kernel, via a method known as RBD, which stands for “refined, bleached and deodorized.” This method involves chemical solvents that result in a higher oil yield. It is quicker and cheaper to manufacture coconut oil this way, and the final product can be sold at a cheaper price. However, this method often leads to hydrogenation or partial hydrogenation of the oil and the presence of trans-fatty acids, as well as the removal of beneficial fatty acids. The third way of extracting coconut oil is from the fresh flesh. This coconut oil is known as “virgin coconut oil.” Don’t be confused, like I was, if you find extra virgin coconut oil at the market. Extra virgin coconut oil and virgin coconut oil are one-and-the-same. There currently are no industry standards that differentiate one from the other. The term “extra virgin” is borrowed from the olive oil industry. The process for extracting virgin coconut oil requires very little heat and no solvents. This coconut oil is made from the first pressing of fresh coconut flesh, leaving the medium-chain fatty acids, nutrients, mild coconut flavor and smell intact. If you like the taste and smell of coconut oil, virgin (or extra virgin) coconut oil is worth selecting because it contains more nutrients and has more health benefits than refined coconut oil. The health benefits of coconut oil run the gamut. One of the reasons you should cook or bake with coconut oil is that it has a high saturated fat content. You can use it to cook at high temperatures and even leave it at room temperature for months without it going rancid. It is an extremely stable oil. The medium-chain fatty acids present in coconut oil are a wonderful source of energy for the body. MCFAs help raise metabolism, which can help you maintain a healthy weight or even lead to weight loss when combined with exercise and a healthy diet. What makes coconut oil so unique is that it contains at least 40% lauric acid, the major medium-chain fatty acid also found in human mother’s milk. Lauric acid is converted to monolaurin in the body and provides the body with antimicrobial, antibacterial and anti-protazoal benefits. That is one of the reasons why breast milk is the best source of food for infants and coconut oil is a great food for everyone else. It protects against viral, bacterial and protazoal infections. Coconut oil has also been shown to help support thyroid health and potentially reduce the symptoms of hypothyroidism, such as fatigue, weight gain and water retention. This is because coconut oil does not oxidize in the body. Rather, it acts as an energy source, raises basal body temperature and does not require additional enzymes to help break it down since your body recognizes the fatty acids it contains. This allows the thyroid hormones T4 to convert to T3 more effectively. As for digestion, people with IBS, Crohn’s disease or sensitive digestion find that they do well on coconut oil. This is because the MCFAs help the intestines absorb much needed nutrients. This improved nutrient absorption facilitates healing of the digestive system and the person. And it doesn’t stop there. Coconut oil has been shown to be effective in cases of candida, high cholesterol, diabetes, Alzheimer’s and chronic fatigue. Topically, coconut oil has been used for centuries to help nourish and health the skin and hair. Whether you have dry skin or hair, or a yeast or fungal infection, research and anecdotal evidence has shown that coconut oil can help with such problems. Coconut oil easily penetrates the skin and hair, getting down to the dermis and hair shaft, leading to healing of the skin and hair. If using coconut oil is of interest to you, go to your natural food market and look for virgin or extra virgin coconut oil. If you prefer ordering online, Tropical Traditions is a good resource. They also sell skin care products that contain virgin coconut oil. I make a nourishing skin cream that contains virgin coconut oil which is available on my website. Using coconut oil directly on the skin works wonderfully too. The only caveat is that you will likely have to reapply throughout the day, because of how quickly it is absorbed into the skin. The theme this week is the old versus the new. There can be things remembered, perhaps things regretted, all to be offset by things that are there in potential. You will be becoming more aware of the patterns around you and what fits (the new) and what will need to be jettisoned (the old). This is a week when a lot of things will be coming out for you. You are going to see, and perhaps be surprised by, some of the revelations that people will be making to you. The energies that are entering into the grid this week are such that people are finding themselves off-center. In an attempt to gain some sort of equilibrium, they are bringing out things in their pasts that they may have kept hidden or left unsaid. It is as though the secrets of the past are establishing the foundation, the point of stability for dealing with what is going on. It is important this week to be centered and grounded in all you do. The current energies are very supportive of core work. Take advantage of this. There are going to be some moments of déjà vu as elements from your past lives cause reverberations in the current energy fabric. These can leave you feeling unsettled, dizzy, unsure of your own sanity. But that is okay. The shake-up often precedes the establishment of a stronger basis. There are some revelations that will be coming your way this week. Be open to them and accepting. They are lessons and assists on your path as you move forward in this energy. Listen to your intuition, especially as your body does whacky stuff. This is a week to get through, and when you have done so, if you stay within your heart center and open to receive, you will find yourself stronger in WHO you are and more aware of the process, the Shift, that is happening around you and of which you have chosen to be a part. On the larger scale, there is the potential for the tops to be blown off of things in all areas. The shells are being broken, and out of them can come all sorts of unexpected actions, responses, emotions, disasters, joys, etc. This means that this week will bring a lot of activity in all areas, especially the political as there will be some Earth related events that will lead to large challenges for the leaders of the countries in which they occur. There is also a conspiracy that is coming to the surface in one country that will cause a great deal of turmoil and spill into other areas, particularly as the year goes on. The Earth is moving in new ways, almost as though there is a contrary spin beginning to develop beneath the surface. This will lead to odd and unexpected Earth tremors, movements, geysers, even volcanoes. Additionally, it can cause problems with magnetic movements, even affecting the electro-magnetism of human bodies. This also is something that is beginning now and will continue to grow in intensity. The Sun is throwing off a new kind of radiant energy. This is not well understood, however there will be some mention made in the news media, merely as a curiosity. The stock market will be shivering and shaking as more and more people turn their focus from that towards other ways of prosperity. The coming eclipse is going to bring a lot of things out of the shadow, moreover it has the potential to change the foci for many. There is a new health issue that can affect the globe. It is being incubated in an area around India. There will also be mention made of the odd things being done by birds and animals. 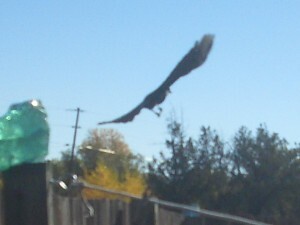 They are letting us know that there is something shifting in Nature herself. This week will bring many signs and symbols of what is to come. Depending upon how you relate to these, this can either be a nothing week or a most enlightening one. There are questions in the air today as you are feeling yourself somewhat put upon as though things are focusing on you just when you want some private and away-from-it-all time. When you find yourself feeling this way, it is an opportunity to remove yourself from the outside influences and go within. Take a moment to breathe and center. Listen to the flow of your blood and the beat of your heart. There is that inner knowing then that can come to the surface. Moreover you can find the sense of peace in the midst of chaos that will be your best refuge as the times go on. Mark that place and that feeling. There is much in the air today on many different levels. You can choose the level you wish to acknowledge, but know that choices you make now are beginning to be somewhat critical in terms of your development as we move further in the second quarter of the year. So, take advantage of the deliciousness of today. It is time to know what it is that truly pleases you, that makes you feel whole, that brings you a sense of peace, that lets you know what community means to you. This is a day for finding in your joy just how things have shifted for you, how your perspective has changed, and how you have grown through all of this. It is all good. Celebrate yourself and your union with Nature, with Gaia. Take time to honor her and acknowledge your desire to be part of her in this crazy time. Take some time to meditate, create, whatever brings you in touch with your core. The energy is open for bringing you the knowing of your oneness with the Universal Consciousness. There is something that you have left undone and you are going to be bothered by this today. It can color all of your actions, hence it is well to take care in all that you do. You can find yourself distracted from what is going on around you, so if there are times today when you need to be 100%, it is a good idea to prepare for these, take notes, and refer to them often. Also, do your grounding ritual this morning and connect with the All. This is important as you will need your cheering section around you today and your connection is what lets you know on an instant by instant basis of your power and the love that surrounds you in all you do. There is, in the evening, some sadness, some darkness on the horizon. Let it be what it is and stay always within your heart center. For months, I’ve felt the bridge in time, the elusive strands of energy between the Piscean and Aquarian Age. The turning between ages is like a wheel; the spokes turn and open in the space between ages, offering a dispensation of light. When we are between two ages, there is a great deal of light and less physical energy due to the oscillation between the two worlds. A Precession of Ages likely doubles or triples this gift of light. Many of us felt disappointment when the energy shifted around the solstice. While “heaven on earth” did not miraculously appear, many of us felt the impetus of a new energy. No one could deny that the world is touched by change. trees lingers outdoors, in ridiculous cold, accompanied by flowers that shouldn’t bloom for months. Some days they are covered in ice but continue their blooming without a pause. Perhaps, we’re a bit like the flowers. We move forward with self-expression and the sharing of light, then backwards with the return of winter and dormancy, like an intricate dance. Sometimes, the beautiful energy fills us with joy and spontaneous direction. Other times, it’s impossible to do anything besides rest. (I never thought my sofa would become so familiar.) It’s exhausting and exciting all at once. Like my plants blossoming with their strange timing in the season, the energy seems to have an odd time warp quality. Some desires come into fruition by merely speaking them, and other desires take a tremendous amount of focus, arriving unexpectedly but months after the initial projection. A series of events can arrive full-blown in a single day, or it can take a long time for the beginning of movement with spaces between the necessary actions. Time appears to slow down and speed up in particular patterns during the day. When talking with my gifted friends, we noted a few recent changes. Additional meditation, exercise and focus are needed to retain a calm nature. Our practices, which were natural and enjoyable, now come first with the change brought by the new energies. When it’s secondary, we find it more difficult when dealing with emotions or other people. Establishing a relationship with the universe can take more work. We’ve also lost our ability of merging and remaining invisible in crowds. People look deeply in our eyes or bump into us with a clear desire to convey connection or hostility. Of course, becoming visible to others in everyday life is somewhat humorous. How did we expect to remain disguised, knowing that truth exposes everything during the time of the apocalypse? Apocalypse means revelation of hidden truth, and it appears in governments, global finances, relationships, conversation and within the self. The act of becoming more intuitive makes our inner dialog, agenda and subconscious patterns become obvious to ourselves and others. The term “subconscious patterns” refers the repetition of emotions and events that evoke a lower response in life or physical reality. (As we clear our inner patterns, we actually clear many negative patterns in the outer world.) As we see the truth within ourselves, the truth must appear in the outer world. Light composes the substance that we seek, but light also illuminates the darkness, bringing shadows to the surface. For seekers who’ve experienced the outpouring of light, the opening of the heart, we already know how light stirs the substance of our lives. It can cause tiredness, re-evaluating relationships, and changing jobs or careers. Certainly, experiences with light open the heart and move us toward love, but the shift can feel baffling and confusing. While in the midst of group conscious awakening, we’re watching the reconfiguration of the world. There’s turmoil in the outer world. It’s easy to feel the fear of the population at large or see lovely landscapes when connected into the heart. At this time, the universe supports change, but those – who understand positive energy – must direct it. When we sit in deep connection with the light and see a better world for ourselves and others, we are creating it. Most of us understand that our light is important. We know that we’re here on a quest to learn more about co-creation and bring love into the world, a world with less duality and negativity. Every day, we learn more. Understand how you co-create. Direct the force during the meditation. Conscious co-creation connects you with other people. It also teaches you about the thoughts and feelings used in creating your current reality. Observe it. The veil is thin. Many emotional feelings come from others, not the self. Practice detaching from the sea of mass consciousness by connecting to the light or focusing on happiness. Ask for a vision of your higher reality. Asking questions directs the heart toward truth. Project calm and peace whenever possible. With the alteration taking place in only 3 or 4 months, our bodies are not accustomed to the changing energies so we may feel tired or lack energy periodically. Rest when tired. Save projects for times of inspiration and power. (It slows down the process to push when tired.) Don’t use reserves of energy. If you have super-powers (and you know who you are), let go of the people who drain you. Use your gifts. The world needs you. Reflect on the beauty of this time and the inherent opportunity for mastery. In the third dimension, the past is experienced in the mental body and the emotional body. But in the fourth dimension the past is observed, not experienced. You don’t run your past through the emotional body. When you can stand in the fourth dimension present-time, right now- and decouple the emotion from the thought, you can simply perceive the past, “I was yelled at, abused, and insulted.” You can decouple the strong emotion that went along with it and simply observe that, “In my past, my father abused me; but I’m not in my past; I’m standing right here and I do not have to be the result of my past if I do not bring the painful emotion with me present-time. The minute the emotion is coupled with the information or thought, you drop back into the third dimension and relive that painful past again in this moment. Your past can be viewed as simply two distinct components: a piece of information that once had an emotion attached to it. When you can separate the emotion from the thought (the information), the ability to perceive your past will change instantly. Everything that you have believed about how you’re “not Okay” begins to release its hold on you. You may have participated in events and you may have experienced outcomes that you didn’t desire; but you’ve never failed at any part of the lesson. It’s when you can separate the information from the emotion in this present-time moment that the old charged memories are cleared from your past. You are changing your past! That pain from the past that has been projected into your future is also being cleared at the same time. It is a very big deal how the Shift is taking away everything that is not you! As that point is determined, the first Wave has more room to dissolve who-you-are-not and clear it away. The second Wave will then begin to increase your wiring capacity; bringing in more Light, more knowledge, more wisdom, and more of you (the multidimensional part of you) into the body. The noise, the drama, and the past and future simply cease to happen. You begin to know yourself here, in this moment in the present time. Another transformative tool is a geometric energy field. It’s called an octahedron. When you put the octahedron back together and wear it, what happens is that you begin to hold a consistent tone that is outside of the third dimensional reality’s grasp. As you step into present-time and choose to look at your past simply as a combined emotion and thought- “I was yelled at by the Blue Shirt”–and recognize that the blue shirt you’re looking at in present time has nothing to do with the emotion once experienced, the event loses its charge and becomes neutralized, which in turn allows the emotion that you’ve been reliving over and over every day to dissolve from your present-time space. You are now more neutral and can ask a better question-e.g., “What else might have been going on in that past situation?” Instead of approaching all of life from a charged place, you will simply view it from a place of neutral curiosity. So why is it so important to begin to put yourself back together? In the third dimension we have been trained and conditioned to respond to what is outside of us. And, what’s outside of us directs much of our reality. Just take a look at advertising! Do you really need that seventh pair of shoes? And, “Oh, that’s so cute I think I”ll get another pair in green” etc. In the externally motivated third dimension an interesting dynamic occurs. Let me use the example of hunger. You’re driving along, You’re not even aware of being hungry, and there is an ad for Sushi, Wendy’s, KFC, Soup n’Salad, whatever, and you find yourself saying: “I think I’ll go and get a meal.” You were not even hungry a moment ago, but the conditioning pulls you into that location! You were powerfully affected by the external world. As the memories of the past fall away, and as the programmed thoughts of who you will be in the future dissolve, the conditioning is also falling away. Have you noticed that the dreams and desires, the hopes, goals and wishes that you once had don’t even feel important anymore? Also, you can’t even remember some of the things that you were told and believed would drive your life? That specific observation is very important! As you put yourself back together, the who-you-are-not dissolves and who-you-are begins to shine. As time is collapsing into a singular present moment, many people are getting bored. Bored as in “I don’t know what to do! I’m not sure who I am anymore. I don’t have anything that’s important to me. And I’m really not sure what to do with myself.” Do you know this place? As we forget who we are not, a conditioning is also being stripped away. And now, the reference points of the conditioning no longer exist! But we’re so conditioned on “Wendy’s = eat hamburger,” and “advertising = buy shoes”, that when those reference points go away, we don’t know what to do with ourselves. And this is a great thing that’s happening. You are surely stepping into a fourth dimensional place! As you begin to play in the fourth dimension, (with diminishing reference points) you are (metaphorically) standing naked with nothing to do until you decide what you want to do. You are treading water until you choose to create an event. So, let me give you an example. I now no longer have an external stimuli to tell me I’m hungry, and I’m starting to actually feel hungry, but I don’t know what I want to eat. If you can switch this to: “I think I’d like to create something really wonderful to eat; I wonder what I would like to have?” If you begin to ask the right questions- Universe, what would be very interesting to eat? – you will begin to get some new ideas. Instead of the old conditioning, the Universe begins to give you what you put your attention on. All you have to do is pay attention in present-time and notice what is presented to you: mangoes, Japanese cucumbers, fresh spring peas. Notice what your asking brings to you. Boredom is a choice. I know you have had the experience where you casually say something like, “Well, I wonder where I could get a delicious, Hawaiian salmon burger that is very juicy and on a tosated bun and has a big slice of tomato and very fresh lettuce and a thick red onion on it.” Then all of a sudden, a picture will appear in your mind accompanied by the thought: three weeks ago when I was at dinner with my best friend, and we were having a wonderful, laughing time, the waiter walked by with this really nice looking salmon-burger.” That sandwich will come right into your awareness because it’s part of your creative mechanism rather than your reactionary mechanism. This will begin to happen more often to all of us, because we are forgetting who-we-are-not, and we are being given an empty palette on which to re-create our selves on our own terms and according to our own desires. Since many of us have not been trained well, nor given permission to validate and grow our creative nature, we are, in a sense being given back our childhood. We are being given back the opportunity to create. And the Shift is stripping away more and more. The anger, frustration, resentment, and the always-and-never aspects of the rigid third dimension are dissolving. As they are going away they are taking who-you-are-not with them. As you begin to put yourself back together and re-access your Higher Mind, re-connect with your Soul, anchor it back into your Heart, and begin to activate the Light Body, you discover you can choose different and new options. You can choose co-creation and compassion; well-being and beauty. You begin to find the internal smile in the Heart that has been forgotten a long time ago, and you begin to create and co-create with your community of friends. This is happening and it is going to continue. As you use your tools, and start putting yourself back together, you begin to experience yourself as being “in the world but not of the world.” As the wiring comes back together, the access to whom you have always been starts to lock into place, you not only remember whom you have always been; you also do not remember that you never remembered! You simply become once again what you have always been. This is a remarkable game that we are playing in, and there is a tremendous acceleration as you put yourself back together! This is something that is not experienced very often by many beings! What you are doing is creating something that has never even been thought possible in the higher realms. And you are doing it at an accelerated rate. Superbly! So even though you look in the mirror and say, “I don’t know what that guy was talking about” it IS an exciting adventure! As you put yourself back together, you’re going to be thrilled with what you find! A caller to my radio show told me the following story: she had survived a terrible earthquake in her native country, lost her husband in that quake, emigrated to the U.S. with her surviving child, and worked to put that child through college. Now she was trying to follow her dream of establishing a charitable organization to help disaster victims, but she was becoming discouraged because her vision wasn’t materializing as quickly as she’d hoped. Could someone who had come so far through so much really afford to be discouraged? I told her in no uncertain terms to hang on to her dream. Be willing to hold the vision! All of us are here for a purpose; when you find that purpose, hold the vision regardless of what difficulties or obstacles may surface. Holding the vision involves an unwillingness to compromise what you’re visualizing. It means being willing to face setbacks and what appears to be an uncooperative universe. Even if you’re not convinced that you can make something happen that has never happened before, try creating a vision of your authentic self, destined to do great things, enjoy fulfillment, happiness, and success, deserving of the best that life has to offer. When that happens, you’ll be a vibrational match to the Source of all, and this new receptivity will become your way of life. When anything crops up that’s inconsistent with this vision, take the advice of Lao-tzu: “In order to eliminate the negative influences, simply ignore them.” Such words are so simple, yet so profound. Hold on to your vision and make it your reality. 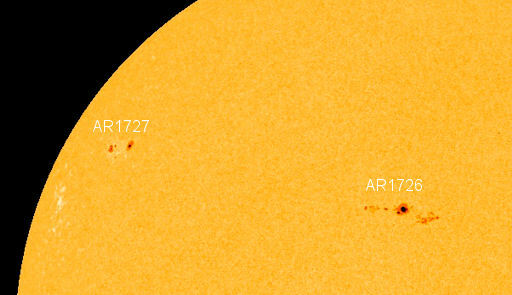 AR1726 is the fastest-growing and, so far, the most active. It is crackling with C-class flares and seems capable of producing even stronger M-class eruptions. Because of the sunspot’s central location on the solar disk, any explosions this weekend will be Earth-directed. Update 00:49 UTC : WAPMERR, the theoretical damage engine has calculated that based on M6.9 and 16 km depth there will be 400 to 3500 fatalities and thousands of injured. Let’s hope that they are wrong ! Update 00:47 UTC : The Chinese data are even more dangerous. CEIC reports a Magnitude of 7.0 at a depth of only 14 km. ER fears for a lot of fatalities. Update 00:41 UTC : We do stress that this is a MAJOR DANGEROUS earthquake. The combination Magnitude / depth can be very damaging. Update 00:37 UTC : We will have to wait a little to get the precise population data in the direct vicinity of the earthquake. Update 00:26 UTC : USGS is expecting a MASSIVE MMI IX shaking near the epicenter. Even if the shaking should be down to VII or VIII, this earthquake will still be very damaging. Update 00:26 UTC : USGS is reporting a Magnitude of 6.9 at a depth of only 16 km. EMSC is initially reporting a depth of 60 km. If the final depth is less than 20 km, this earthquake will normally be very damaging. Update 00:22 UTC : We are currently trying to get the data of the Chinese Seismological services, but so far we could not get to it, probably server are too busy. Every year in late April Earth passes through the dusty tail of Comet Thatcher (C/1861 G1), and the encounter causes a meteor shower–the Lyrids. This year the shower peaks on Monday morning, April 22nd. Forecasters expect 10 to 20 meteors per hour, although outbursts as high as 100 meteors per hour are possible. In fact, Lyrids have nothing to do with Vega. The true source of the shower is Comet Thatcher. Every year in April, Earth plows through Thatcher’s dusty tail. Flakes of comet dust, most no bigger than grains of sand, strike Earth’s atmosphere traveling 49 km/s (110,000 mph) and disintegrate as streaks of light. Lyrid meteors are typically as bright as the stars in the Big Dipper, which is to say of middling brightness. But some are more intense, even brighter than Venus. These “Lyrid fireballs” cast shadows for a split second and leave behind smokey debris trails that linger for minutes. Experienced meteor watchers suggest the following viewing strategy: Dress warmly. Bring a reclining chair, or spread a thick blanket over a flat spot of ground. Lie down and look up somewhat toward the east. Meteors can appear in any part of the sky, although their trails will tend to point back toward the radiant–i.e., toward Vega. Vega is a brilliant blue-white star about three times wider than our Sun and 25 light years away. You might have seen Vega in Carl Sagan’s movie Contact. It was the source of alien radio transmissions to Earth. The theme this week is watch what you wish for. This will be coming up in all areas — your personal life, communities, cities, countries, politicians, nations, corporations, etc. So expect there to be a lot of movement in terms of dealing with the past, facing the future, and owning up to stuff. All in all a most curious week. Desire, passion, fulfillment, disappointment, these are all things that will be coming to the fore this week. You are in a situation now when a kind of tiredness is setting in. This comes from a sense of having waited so long and not feeling as though there has been any positive response. Moreover, and paradoxically, it is related to a sense that things are happening but not as you expected. There is much emotion in the air this week. Allow yourself to feel. It is all good. These feelings hold a truth, a new realization, that needs the water of tears in order to grow. This is a good week for knowing who your community is and for being in contact with them. There is support on all levels in that. What you are feeling, they too are feeling and it is a good idea to share. On the larger scale, there is a huge shadow over the earth this week. It will make itself known in outbursts here and there. Gaia is moving, and she is wanting to come out of the darkness that has been placed upon her by the work of men. She will bring new light into the Earth this week in her own way. Look for this. The ley lines are becoming more and more activated. Perhaps you will be feeling a tug to another place. Honor it. Take a look at it and research the area that is calling out to you. There will be shifts also within certain political areas as things get shaken up on many different levels. Expect an outburst from the population of a small country that has been held down for many, many years. This is not necessarily political, but perhaps related to the use of GMO seeds or unhealthy practices. The stock market will have a crazy ride, but will generally end the week on an upturn. There is a new light coming upon the political scene, a popular figure, a person of the people. Look to the area in which this happens. There is an old, old secret there left from the Seed Race. There is also a new kind of challenge to the human body that will be making itself felt. It is both a physical thing as well as a magnetic thing. It can disrupt the electro-magnetic field of the body. This is not good. It is not clear just who is behind this, however it will be making itself felt first in the world of the animals where it is being tested to determine the effects upon herds. The week is crazy as craziness becomes the theme for those who are wanting to maintain their control. The foundation, however, is irrevocably shaken. There are a lot of things that you have had in the works, and now you are feeling that they need to be done. You are feeling a new sense of urgency, that you want to remove yourself from a lot of the old stuff that has been hanging around for so long. The day’s energies give you momentum in this task, moreover they are even pushing you forward. Accept this assistance and take a second look at many of the things that you have been making excuses for. The time for excuses is coming to a close. There is a new light on the horizon, and if you want to see it clearly, you need to make some changes. Things are not going to hold together very well today, and there will be a whole lot of slipping and sliding going on. Because of this, it is imperative that you spend some time grounding and centering yourself. When you do this. You will begin to see what is happening beneath the surface. There is a new understanding that will come your way. This is going to affect you as the year progresses, especially as you become more aware of the many layers of things. It is very easy to become befuddled by what appears on the surface. There is more going on below the surface, and this is true especially today in relationships with people. It is a good idea to choose your words carefully and to listen well. You have been waiting for a sign to come your way, and it is coming. Unfortunately, it is coming in pieces. Part also of the patterns that are around these days. If something strikes you as important, even critical, note it. There is more to come. This is a day for knowing what belongs to you and what you do not want. This is true in all areas, including emotions, advice, guilt, fear, fondness, possessions, etc. There are things that you have held back from doing, being, having, wanting because of stuff that was dumped on you when you were young or perhaps things carried over from other lifetimes. This stuff is no good and it can trip you up on your path to Ascension. Let it all go. The first thing to do is to see these things for what they are. There will be a number of opportunities today to understand just what this means. You can find yourself faced with decisions or encountering events that will allow you to take a different approach. You will know them when they arise. It is time then to go within, into your heart center, into the deep knowing and connection with the Universal Consciousness and to open to that flow. Wow! You can just feel the attachments snap away. They have no power over you unless you allow them to. Interesting press release from CVO this evening. While they’re playing this down, it is interesting that there are (and have been) many more earthquakes than they mention in the report (for days now!)! The events plot beneath the most recent vent area,…not where geothermal exploration this past year had triggered earlier activity on the western flank of the volcano. I had been watching these events, but obviously not closely enough!!! I’m sure the deep low-frequency event within the shallower activity got their attention. This is a rhyolitic volcano (so there are few analogs to precursory activity) and the seismicity at Chaiten and more recently at Cordon Caulle began at around 8 km depth!! Maybe nothing,…maybe something!!! Definitely the most interesting seismicity in the Cascades for a long while!!! Between 04/08 – 04/12, five earthquakes were located within or along the margins of the Newberry caldera by the Pacific Northwest Seismic Network (PNSN, http://www.pnsn.org). The first two occurred at 04:19 & 04:20 PDT on 04/08 and were followed over the next 20 minutes by eight smaller (and therefore unlocatable) earthquakes. Three days later at 5:01 PDT a “low-frequency event”, so-called because it lacks higher-frequency waves that are commonly observed in regular earthquakes, occurred at a depth of ~8 km. Finally on 04/12 two additional earthquakes occurred at 02:28 and 04:06 PDT. The largest of these five events was a M 1.2. These five events appear as orange or red (two most recent) circles in the below map-view plot. Map showing earthquakes located within the Newberry caldera from 2011 – 2013. Earthquakes from April 08-12, 2013, are colored orange or red (for April 12 events). Although these five events are nothing to get excited about, they are noteworthy because only six other earthquakes have been located within or along the margins of the Newberry caldera since the Newberry seismic network was expanded from one to nine seismic stations in the summer of 2011 (none of these events would have been detected prior to 2011). In addition, the 04/11 event is the first low-frequency event ever recorded in the Newberry area. Low-frequency events are not unusual at volcanoes, and when observed are commonly thought to reflect movement of fluid (water, gas, or other) through cracks. Given that there are active hot springs within the caldera, the occasional occurrence of such events should not be surprising. An unusual feature of this low-frequency event is its depth (8 km). Since the 1980s, such “deep low-frequency events” have been seen intermittently at Mount Baker (31), Glacier Peak (9), Mount Rainier (9), and Mount St. Helens (9). At these other volcanoes the deep low-frequency events occur as part of background seismicity and have not been associated with eruptions or unrest at the surface (for more information about these type of events in the Cascades, see Nichols et al. (2011)**). Although intriguing from a volcanological perspective, these events are again nothing to get excited about. ** Nichols, M. L., S. D. Malone, S. C. Moran, W. A. Thelen, and J. E. Vidale (2011), Deep long-period earthquakes beneath Washington and Oregon volcanoes, Journal of Volcanology and Geothermal Research, 200(3-4), 116-128.